Most agricultural transactions undertaken in the Democratic Republic of the Congo (DRC) are by small actors who operate in isolation without the help of reliable institutions, efficiencies, information, and signals. The country lacks critical transport and market infrastructure and supporting systems. FPPM is the first major economic growth activity for the U.S. Agency for International Development in the DRC since the 2003 end of the civil war. 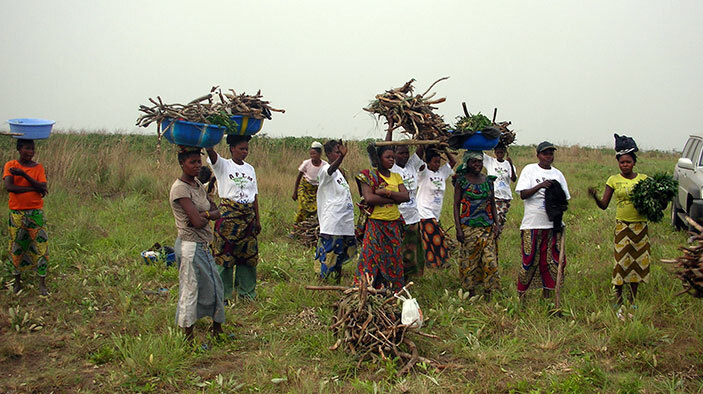 The project is helping the DRC achieve food security—both the availability of food and consumers’ ability to purchase it—by improving the production, processing, and marketing of staple foods by smallholders and small and medium-sized enterprises in the provinces surrounding the country’s largest, and by any standard huge, urban market, Kinshasa. Aligned to the Feed the Future Initiative, FPPM is improving the availability of productivity-enhancing inputs and services, post-harvest and processing technologies, and transport and marketing services. Working with producer organizations, public and private partnerships, and other donors and groups, FPPM is rehabilitating and transforming smallholder access to inputs, services, and markets so that even smallholder farms become income-generating businesses. These businesses will learn how to supply rural and urban markets while increasing the productivity of all farm labor—notably the 80 percent of the agricultural workforce that is female—building household food security and economic resilience. Support farmer organizations to improve productivity. Help farmer groups gain market access. Improve the capacity for smallholders and agri-businesses to respond to market opportunities.